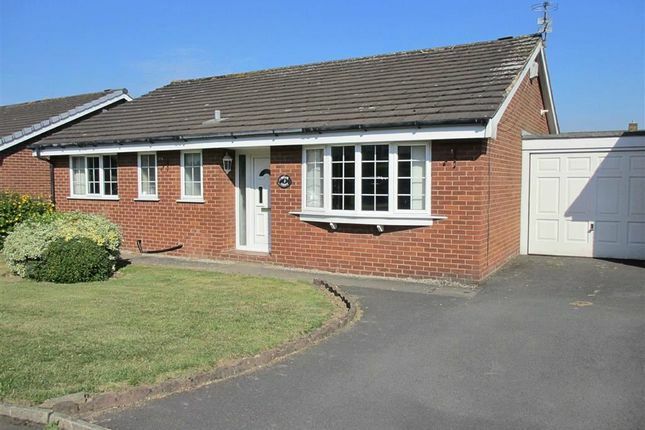 ***recently reduced*** Located in a quiet cul-de-sac in the popular village of Longton is this spacious True Detached Bungalow. With good sized rooms throughout and offering the benefit of parking and a single driveway. This property briefly comprises entrance hallway, lounge, dining kitchen, sun room, family bathroom and three bedrooms. The property is fully alarmed and has double glazing and gas central heating throughout. Front and rear gardens. No pets. Viewing recommended. Available now! Spacious Entrance Hallway with doors off to all rooms and two large storage cupboards. Window to front aspect with part tiled walls housing Low level WC and wall mounted wash hand basin. Large living area with bay fronted window overlooking the front garden, housing an electric fire, TV aerial, telephone points, and double panel radiator. A generous sized kitchen diner equipped with a range of wall and base units with contrasting work tops, Stainless steel sink drainer, space for fridge freezer, washing machine and dryer, electric oven and hob with extractor fan over. Two large windows to the rear as well as access through to the sun room. A lovely addition to this property is the sun room which captures warmth and sun light through its large windows to side and patio doors to the rear, also allowing access to the garden. A large double with a range of fitted wardrobes and window to front aspect. Again, another large double with a range of fitted wardrobes and window to rear aspect. Single bedroom with window to rear aspect. Two piece suite with panelled bath and mixer shower over, wash hand basin with fitted dressing table and window to the front. The front is partly lawned and has a driveway that leads to the carport and further single garage with up and over door. To the rear there is a large garden that is part lawned and part patio, with mature flowers and plants and fully enclosed by hedging and fencing. These particulars, whilst believed to be accurate are set out as a general outline only for guidance and do not constitute any part of an offer or contract. Intending purchasers/tenants should not rely on them as statements or representation of fact, but must satisfy themselves by inspection or otherwise as to their accuracy. Gas, electrical or other appliances, drains, heating, plumbing or electrical installations have not been tested. All measurements quoted are approximate. No person in this firms employment has the authority to make or give any representation or warranty in respect of the property. Property descriptions and related information displayed on this page, with the exclusion of Running Costs data, are marketing materials provided by Dewhurst Homes, and do not constitute property particulars. Please contact Dewhurst Homes for full details and further information. The Running Costs data displayed on this page are provided by PrimeLocation to give an indication of potential running costs based on various data sources. PrimeLocation does not warrant or accept any responsibility for the accuracy or completeness of the property descriptions, related information or Running Costs data provided here.